 Trix 22284 - Lokomotywa elektryczna serii 380, CD, ep. VI. Kompletnie nowa konstrukcja modelu Škoda Typ 109 E.
879,97 zł Towar na zamówienie, zapytaj o dostępnosć przed złożeniem zamówienia ! 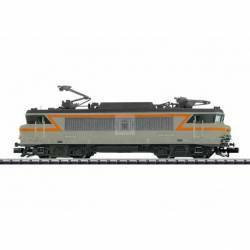 Trix 12556 - Class 252 Electric LocomotiveBody constructed of die-cast metal. 835,93 zł Towar na zamówienie, zapytaj o dostępnosć przed złożeniem zamówienia ! 1 759,95 zł Towar na zamówienie, zapytaj o dostępnosć przed złożeniem zamówienia ! 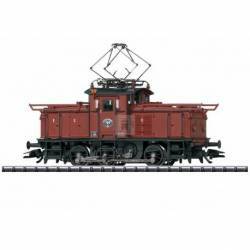 Trix 16011 - Steam Locomotive with a Tender, Road Number 01 118Smoke box door can be opened.Running gear lights.Famous locomotive. 1 276,00 zł Towar na zamówienie, zapytaj o dostępnosć przed złożeniem zamówienia ! 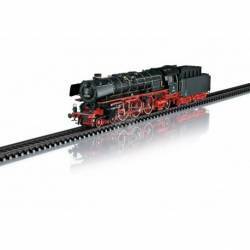 Trix 16142 - Class 141 Electric LocomotiveNew tooling.Digital sound with many functions. 1 231,96 zł Towar na zamówienie, zapytaj o dostępnosć przed złożeniem zamówienia ! 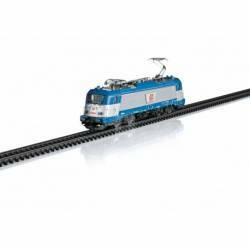 Trix 16156 - Class 150 Electric LocomotiveTooling changes.Simple lamps.Digital sound with many functions. 615,95 zł Towar na zamówienie, zapytaj o dostępnosć przed złożeniem zamówienia ! 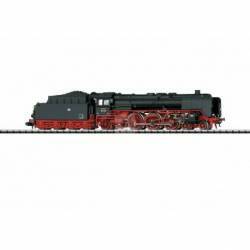 Trix 16181 - Class 18.5 Steam LocomotiveFor the 90th anniversary of the Rheingold.Decoder for DCC, Selectrix, and conventional operation.Prototypical sound.First time with a type 2´2´ T 31,7 tender. 1 759,99 zł Towar na zamówienie, zapytaj o dostępnosć przed złożeniem zamówienia ! 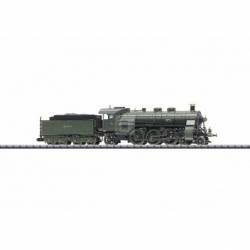 Trix 16183 - Class S 3/6 Steam LocomotiveFor the 100th anniversary of road number 3673.Decoder for DCC, Selectrix, and conventional operation.Prototypical sound.Numbered certificate of authenticity.Limited to 555 pieces. 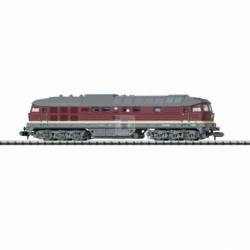 Trix 16234 - Class 132 Diesel LocomotiveAffordable model with sound from the new Hobby Program. 1 143,99 zł Towar na zamówienie, zapytaj o dostępnosć przed złożeniem zamówienia ! 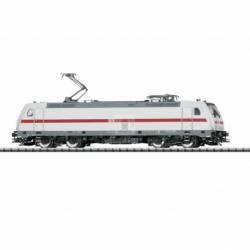 Trix 16289 - Class 218 Diesel LocomotiveTooling variation.Digital sound with many functions.Extensive paintwork. 1 320,00 zł Towar na zamówienie, zapytaj o dostępnosć przed złożeniem zamówienia ! 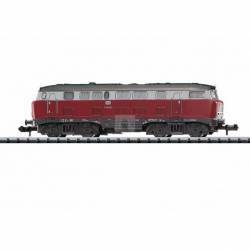 Trix 16642 - Class 246 Diesel LocomotiveCorrect reproduction of the fuel tank.Warm white LEDs for lighting.Cab lighting.Sound. 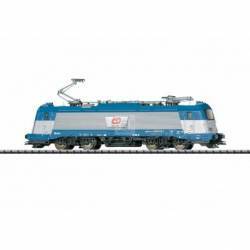 Trix 16691 - Class BB 9200 Electric LocomotiveNew tooling.Sound. 1 231,98 zł Towar na zamówienie, zapytaj o dostępnosć przed złożeniem zamówienia ! 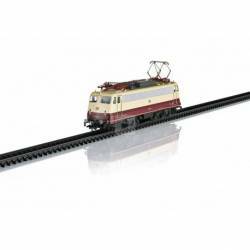 Trix 16737 - Class D753 Diesel LocomotiveWarm white LEDs for lighting.Cab lighting.Digital sound with many functions.Interchangeable, close end skirting. Trix 16881 - Class Re 4/4 II Electric LocomotiveNew mechanism.Sound like the prototype.Cab lighting included. 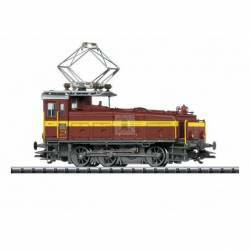 Trix 16882 - Class Re 4/4 II Electric LocomotiveNew mechanism.Sound like the prototype.Cab lighting included. Trix 21928 - Zestaw Pociąg „Rheingold” z 1928 r. z parowozem BR 18.5, wyposażony w dwa dekodery dźwiękowe: jeden w lokomotywie, drugi w wagonie bagażowym.Piękny historyczny zestaw limitowany (tylko 699 sztuk na cały świat), zapewniający pęłną gamę doznań wizualnych i dźwiękowych. 1 011,97 zł Towar na zamówienie, zapytaj o dostępnosć przed złożeniem zamówienia ! Trix 22034 - "Class 98.3 Steam Locomotive (""Glaskasten"")"
Trix 22034 - "Class 98.3 Steam Locomotive (""Glaskasten"")"Buffer capacitor built in. 2 200,03 zł Towar na zamówienie, zapytaj o dostępnosć przed złożeniem zamówienia ! 1 451,99 zł Towar na zamówienie, zapytaj o dostępnosć przed złożeniem zamówienia ! 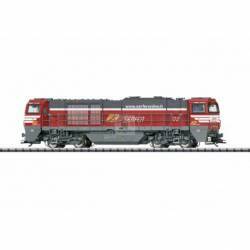 Trix 22064 - Class 112 Electric Locomotive"Electric locomotive with continuous row of vents consisting of 7 ""Klatte"" vent grills.DCC/mfx digital decoder included." 1 055,96 zł Towar na zamówienie, zapytaj o dostępnosć przed złożeniem zamówienia ! 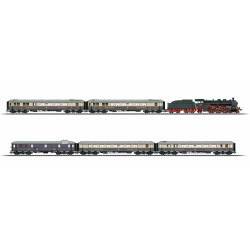 Trix 22095 - Class 475 Electric LocomotiveLocomotive includes a variety of sound functions.Digital decoder included.Detailed, affordable beginner model with extensive features. 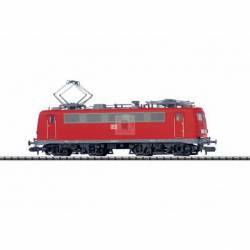 Trix 22195 - Class 102 Electric LocomotiveCompletely new tooling for the modern Škoda Type 109 E electric locomotive.Locomotive includes a built-in digital decoder and a variety of sound functions.Couplers include a guide mechanism. 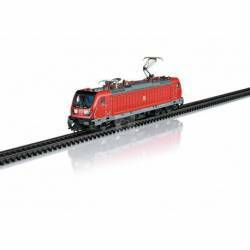 Trix 22196 - Class 380 Electric LocomotiveCompletely new tooling for the modern Škoda Type 109 E electric locomotive.Locomotive includes a built-in digital decoder a variety of sound functions.Couplers include a guide mechanism. 1 979,97 zł Towar na zamówienie, zapytaj o dostępnosć przed złożeniem zamówienia ! Trix 22220 - Heavy Steam Freight Locomotive with a Tub-Style Tender, Road Number 5519Prototypical tooling changes for the version as a CFL museum locomotive.Rail clearance devices with large scoops.Especially finely modelled metal construction.Digital decoder and a variety of operation and sound functions included. 1 627,98 zł Towar na zamówienie, zapytaj o dostępnosć przed złożeniem zamówienia ! 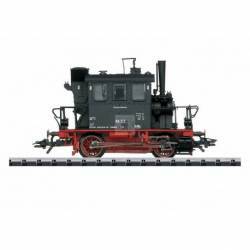 Trix 22229 - Class 42 Heavy Steam Freight Locomotive with a Tub-Style TenderPrototypical tooling changes for the version as an Austrian locomotive.Rail clearance devices with large scoops.Especially finely modelled metal construction.21-pin digital decoder digital interface connector included. 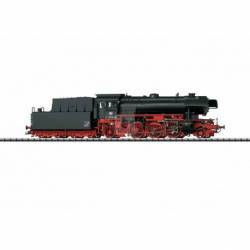 Trix 22240 - Class 39 Passenger Steam LocomotiveBright metal version boiler bands.Digital decoder and a variety of operation and sound functions included. 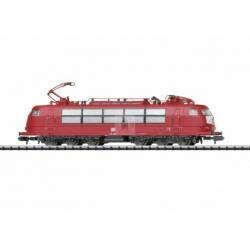 Trix 22327 - "Class BB 12000 ""Bügeleisen"" / ""Flat Iron"" Electric Locomotive"
Trix 22327 - "Class BB 12000 ""Bügeleisen"" / ""Flat Iron"" Electric Locomotive"Pantographs mounted on freestanding frames.Numerous separately applied grab irons. 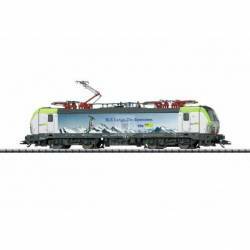 Trix 22343 - Class G 2000 BB Vossloh Diesel LocomotiveFrame and parts of the body constructed of metal.Cab lighting can be controlled separately in digital operation.Digital decoder and extensive operation and sound functions included. 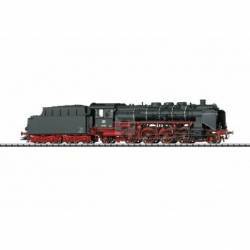 Trix 22345 - Class 42 Heavy Steam Freight Locomotive with a Tub-Style TenderPrototypical tooling changes for the version as an Austrian locomotive.Rail clearance devices with large scoops.Especially finely modelled metal construction.Digital decoder and a variety of operation and sound functions included. 1 187,97 zł Towar na zamówienie, zapytaj o dostępnosć przed złożeniem zamówienia ! 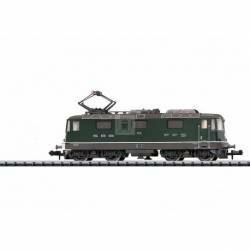 Trix 22392 - "Class Ee 3/3 ""Halbschuh"" / ""Casual Shoe"" Electric Switch Engine"
Trix 22392 - "Class Ee 3/3 ""Halbschuh"" / ""Casual Shoe"" Electric Switch Engine""Finely detailed metal construction.Digital decoder with extensive sound functions.Locomotive can be switched to the Swiss headlight / marker light code and a red marker light for running ""light"".Warm white and red LEDs for lighting. " 879,95 zł Towar na zamówienie, zapytaj o dostępnosć przed złożeniem zamówienia ! 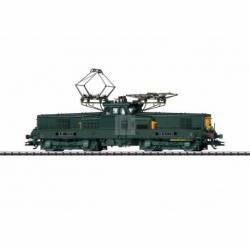 Trix 22437 - Class 37 Steam Locomotive with a Tender (Former Class 24)Locomotive includes a multi-protocol decoder and a variety of sound functions.Detailed, affordable beginner's model. 1 847,96 zł Towar na zamówienie, zapytaj o dostępnosć przed złożeniem zamówienia ! 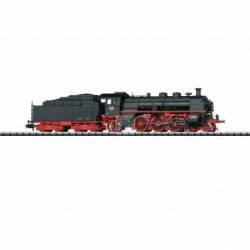 Trix 22505 - Class 23.0 Passenger Steam Locomotive with a TenderImproved spacing between locomotive and tender. 1 363,96 zł Towar na zamówienie, zapytaj o dostępnosć przed złożeniem zamówienia ! 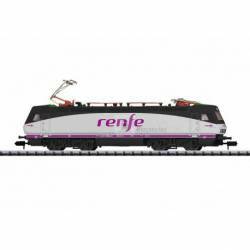 Trix 22681 - Class 146.5 Electric LocomotiveIdeal locomotive for the new IC2 bi-level cars to form correct 6-part trains.Digital decoder and extensive operation and sound functions included. Multiple train announcements for the next stop of the IC 2035 and IC 2036 when changing the direction of travel included. 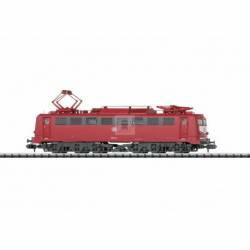 Trix 22689 - Class 147 Electric LocomotiveModern Bombardier TRAXX 3 electric locomotive constructed of metal.Digital decoder and a variety of sound functions included. Version without flex panels on the sides of the locomotive.